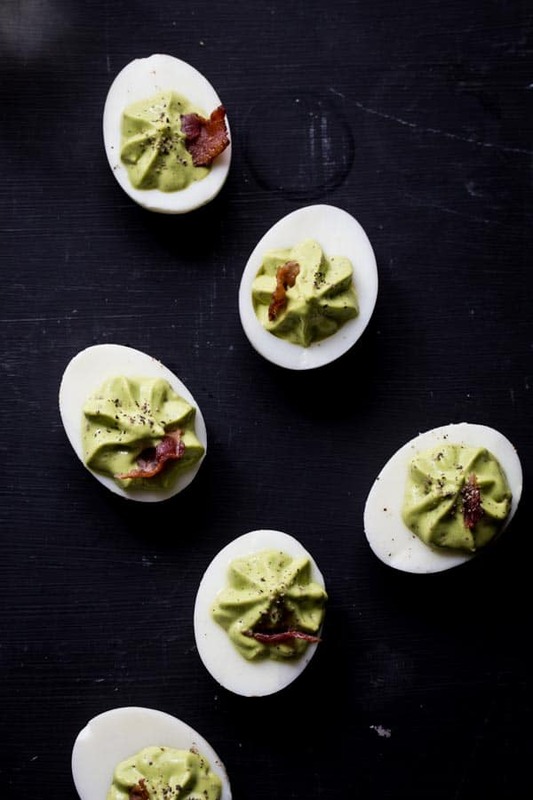 Healthy and easy spinach and bacon deviled eggs for a fun holiday appetizer. I really think this is a the best idea for last minute party starter or tapas. You guys, I wish I took that picture^^!! Right? How beautiful is that? The composition, the little sprinkle of pepper. Gah! I love it! My friend, artist, photographer and food blogger Emily took it. She blogs over at Jelly Toast. And I kinda adore her and pretty much everything she does. Please find Emily on social media, give her a shout, and make us both super duper happy by leaving a comment below welcoming her here. Hi Everyone! I’m so excited to be hanging out with you today. 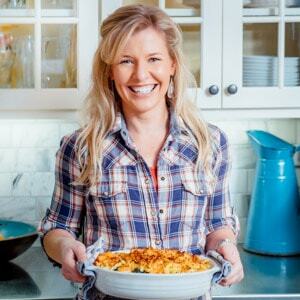 When Katie invited me to be a guest this month, I got to thinking about what type of recipe I’d like to share. When it comes to the holidays, I start thinking almost exclusively in snacks and cookies. If I’m being totally honest, I’m just about burnt out on cookies. I know, I know. It’s not even Christmas yet. I don’t want to point fingers, but I blame my family’s baking get together two weeks ago that totally loaded me up with enough cookies to fill my freezer and my stomach. Whatever it is, I have firmly moved into snack and appetizer mode. We all need a little savory in the sea of holiday sweets. I am crazy about deviled eggs. Seriously, I adore them. My Great Grandma used to make the very best deviled eggs and every time I make a batch, I think of her. But, I’m embarrassed to admit that I often pigeon hole deviled eggs into Spring and Summer. 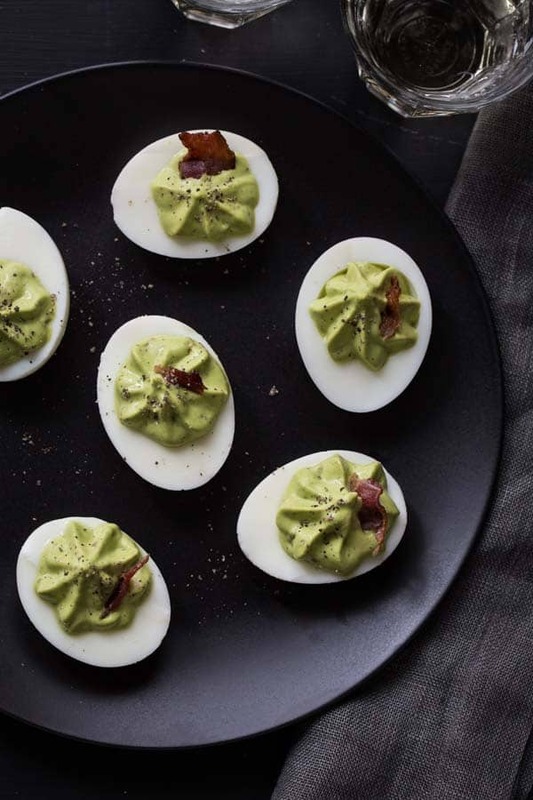 It starts at Easter when I begin to whip up batches of deviled eggs from my Great Grandma’s classic recipe to adventurous twists that involve salmon or figs. Then Fall rolls around and my deviled egg making fades drastically in the light of all the apple and pumpkin goodness. This year, I’m making a conscious effort to bring my beloved deviled eggs to the Winter holidays. 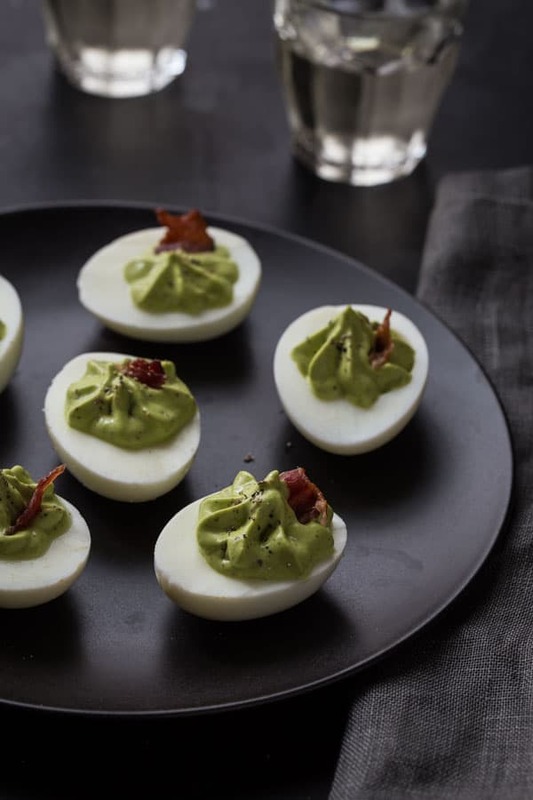 These Spinach and Bacon deviled eggs are wonderfully savory with some of my favorite breakfast flavors wrapped up into an elegant little appetizer that’s worthy of any type of get together. The creamy filling is made with tangy Greek yogurt, hearty deli mustard, baby spinach and of course, bacon. The kiddos inhaled a few all while giggling about the fact that they were eating green eggs – Dr. Seuss style. 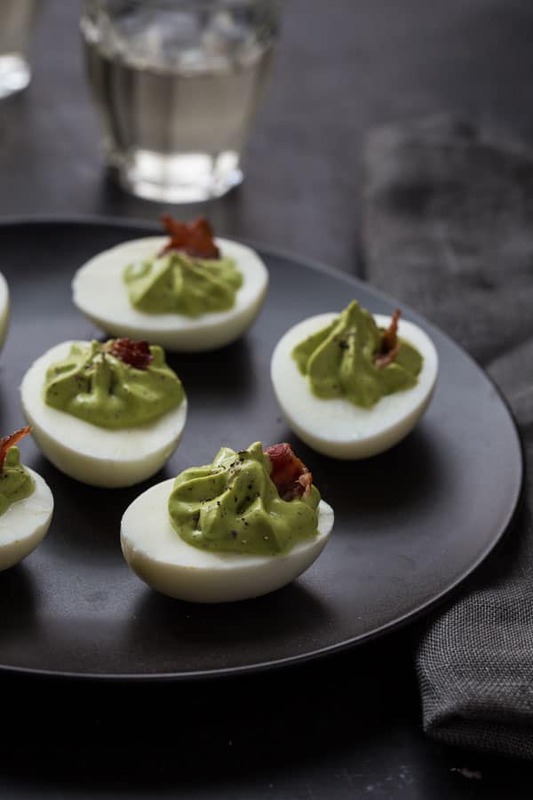 So, in the midst of any last minute holiday shopping and planning, know that these Spinach and Bacon Deviled Eggs will be the quick and easy appetizer that your whole family will love. These easy spinach and bacon deviled eggs are a quick and delicious appetizer. They are very fast and can be made the day before and stored covered in the refrigerator. Slice eggs in half length wise and separate yolks and whites. Place yolks a food processor with yogurt, mustard, milk, 1 teaspoon lemon juice, spinach and black pepper. Pulse until mixture is smooth. Add additional lemon juice if needed for taste. Stir in chopped bacon, reserving a few pieces to garnish the tops of the eggs. Spoon or pipe filling back into egg whites and top with reserved bacon and additional black pepper if desired. Serve! How to hard boil an egg: Place eggs in a large pot and cover with cold water by 1 inch. Bring water to a boil over medium high heat. Cover and remove from heat and let sit for 12 minutes. Remove eggs and place them in a bowl of ice water to stop the cooking process. Peel and prepare as desired. wow very great idea, I love deviled egg but never combined it with spinach before. I think it’s brilliant too Amallia. 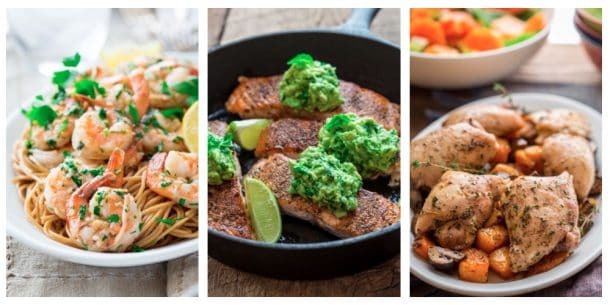 Thanks so much for coming by and checking out this recipe. Have a great day. Wow! So glad you let me know Kalyn. Thank you so much for featuring this recipe. I am sure Emily will be thrilled as well.